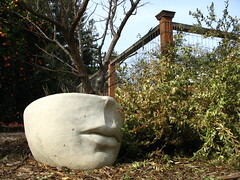 It is well-documented that on occasion a gardener can become obsessed with a particular type of flower, like orchids, or daylilies, or tulips. Once a particular flower obsession sets in, is there a cure? Do I want a cure for my current tulip obsession? The tulips have done so well in the unseasonably cold April weather that I think they deserve the attention and fuss I've been making over them, don't you? This pretty little pink tulip is one of those "single tulips" that seem to come up where once I had a whole group of tulips. I was lamenting those single tulips before, but now I don't mind. 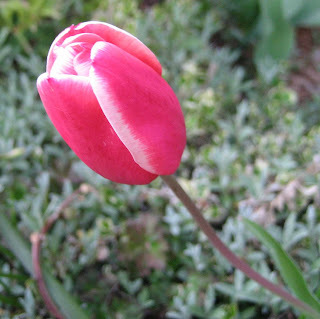 This is such a pretty little tulip that I think it is better to be alone to show itself off. 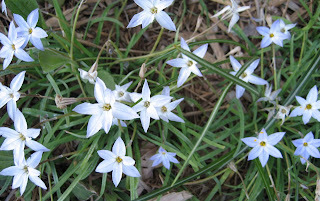 But lest you think that all my bulbs are tulips, here are some Star Flowers (Ipheion uniflora) I'm also smitten with. I planted these about eight years ago, and they've been very reliable in coming back and blooming each year. I like these soft blue flowers so much that I'm going to get a lot more of them to plant this fall, along with the tulips. They are such a nice shade of blue and blue is one color that tulips don't come in, so it will be a nice backdrop to all the pinks and purples and reds and oranges and yellows that I will have in the tulips. I will also plant more green tulips, like these. But I do have one problem right now with these green striped tulips. Really, I can't remember where I planted them and I haven't found them blooming yet. The variety is 'Deidre' according to the package, which also states they are a late bloomer. So I guess I have some time before I should really wonder too much about where these are. But if they don't start blooming soon so I can find them, I might be playing a new game of "Where's Deidre?" in my garden in a week or so. Seriously, I can't find figure out where I planted them and I don't see a grouping of 15 tulips that might be these. I hope they weren't just a total no show! By the way, while I was outside on this beautiful spring evening, looking again for my pretty green tulips, I found this lone late daffodil. I don't know its name, so I've dubbed it "Spring Sunshine Rose Daffodil", because that center reminds me of a rose and it is yellow. Carol, why not just divide your ipheion? After 8 years, the little bulbs must be crying for division, no? Tulips. I'm always disappointed by the tulip show in my garden, and I keep thinking "I quit tulips! No more tulips!" And every fall/winter, I buy more tulips. I was really envious viewing that photo of all those gorgeous tulips you posted on Garden Bloggers Bloom Day. There are definitely some compensations for having to go through a real winter. I tried to grow tulips once but that year the temperatures jumped to 99 degrees in February and the tulips just fell over dead. "Late-blooming" usually means May so I checked my archives. Sure enough, Deirdre bloomed for me on May 5 last year. I have had 'Deirdre' for a couple of years and it's not even close to blooming here yet, so I'm sure you'll see it eventually! Oh, I meant to say, too, that I've planted Ipheions two years in a row now, and have gotten nothing. I'm so disappointed, so I guess I'll just enjoy yours! 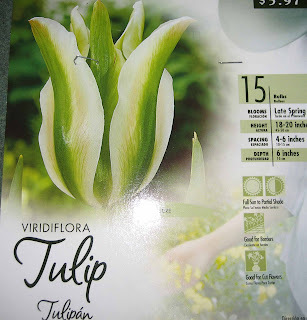 I am a tulip fan currently, too! :) They are so beautiful. And that daffodil looks great. Have never seen such a daffodil. I like the center as I, for some reason, do not like the usual center of daffodils. I've often seen star flowers in catalogs and couldn't decide if we wanted to try them. Looking at yours, we'll have to order some next fall. Thanks for the pics. I like that rose-y daffodil, too. You people are going to ruin my dislike of daffodils one day by posting all of these pretty ones! Beautiful pics! 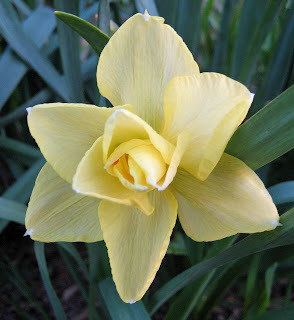 I like that daffodil, too...so many new varieties out there, it's hard to choose (so I keep collecting more). My obsession is definitely daffodils. We have way too many critters that eat tulips around here; I refuse to spend my garden budget feeding deer and chipmunks and mice and gophers and armadillos and moles tulip bulbs. so far I have over 80 different daffodil types, and still collecting. They just keep producing more. . . I just keep yielding to temptation. This year I am getting Apricot whirl and Blazing star from Breck's. Your greatgrandfather loved tulips too and he had hundreds blooming in different areas. He some how kept track of the colors and when he dug up the bulbs he put them in jars to share with anyone who was interested. 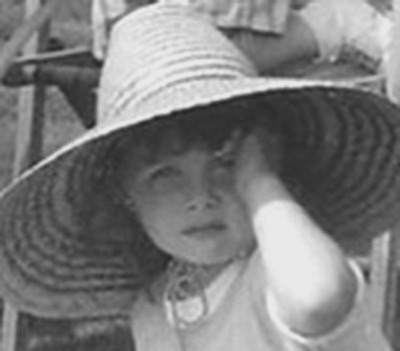 I wish we had kept some pictures because they were beautiful. I still remember how they looked. Like MSinclair Stevens, I don't do tulips now, but had them in Illinois - those viridifloras were one of the last to open in spring. I hope yours show up, Carol! The real hen mother... Thanks and always good to hear from another tulip lover. Chuck B....Thanks for sending me that link, I loved the tulips. 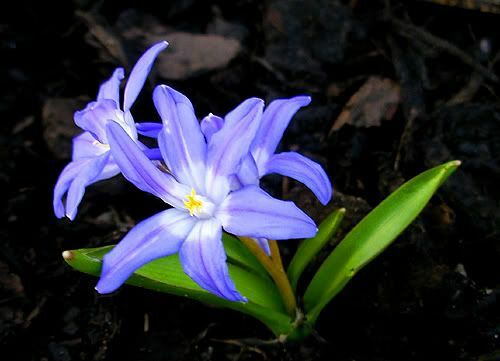 I want to plant a LOT of Ipheion so I'll probably buy & divide both. M. Sinclair Stevens...I think 99 in February might do me in, too! OldRoses... 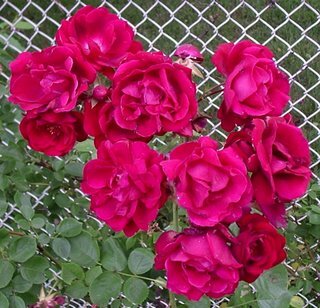 I shall continue looking into early May and hopefully see these blooming in my garden! Nature Girl... Thanks for the comment, I do indeed love where I live! Kylee... thanks for the encouragement, I'll be more patient waiting for Deidre, and I'm sorry your Ipheion haven't bloomed after 2 years. Maybe next year, right? Beadexplore... Thanks for the comment from another tulip lover! Ki... I think that's what is great about garden blogs. You find that someone has been growing a flower you are just looking at in catalogs, so you are encouraged to just plant them. 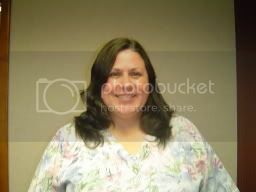 Blackswamp Girl... I'm pretty sure I planted them; at least the package is empty! Lisa... Thanks for the comment. I agree, you should buy more daffodils. Healingmagichands... I agree, it isn't good to pay to feed the wildlife. Don't have deer, but I do have rabbits. Susie...I guess I inherited my love of tulips! Annie in Austin... Thanks for the comment, and I hope the tulips show up soon!